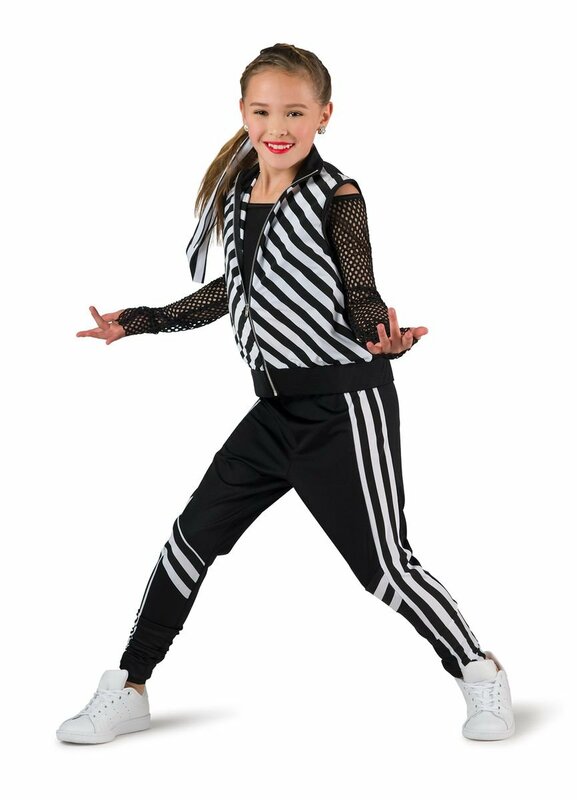 Black and white striped silky stretch and black spandex vest with functional zipper. Separate black spandex cold shoulder crop top with attached big hole mesh sleeves and adjustable straps. 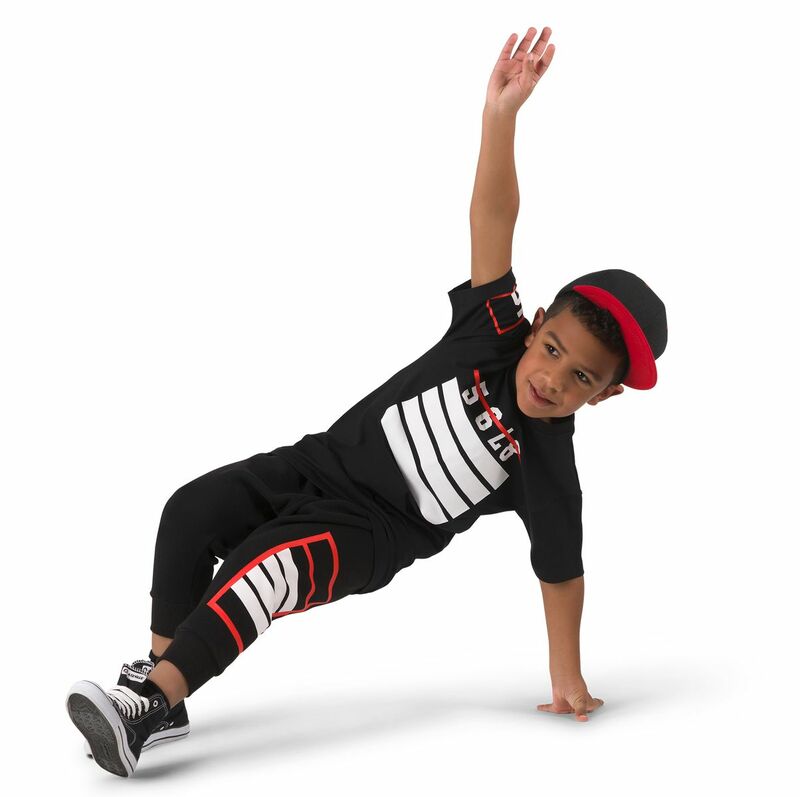 Separate black spandex jogger pant with striped insets. Made in the USA / Imported.